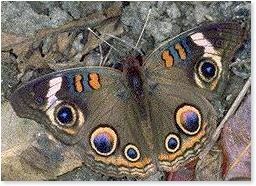 In 1999 twenty-seven participants found 2,673 butterflies of 56 species. The Ojibway Prairie Complex received the majority of coverage. Paul Pratt led at Spring Garden Prairie ANSI. Karen Cedar led in Ojibway and Tallgrass Prairie Parks. Betty Learmouth and Paul Desjardins searched Ojibway Prairie Provincial Nature Reserve while Jeff Larson covered the LaSalle Woodlot ESA and Spring Garden. David D'hondt visited the Little River area and Glenn Gervais explored McCauliffe Woods Conservation Area. Fred Urie visited sites along the Canard River, Oakwood Park and Black Oak Heritage Park. The count was hosted by the Ojibway Nature Centre, Windsor Parks & Recreation. The Friends of Ojibway Prairie sponsored a picnic lunch which was provided by Deb Waugh. Flight seasons for most species appeared to be normal or slightly advanced this year. The count day was very hot, hazy and humid. Little Yellow was recorded for the first time this year. 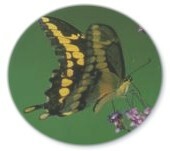 65 species have been recorded over the past six butterfly counts. Last year 45 counts were held in Canada and 301 counts in the rest of North America. Windsor reported the second highest total for Canada with 49 species. Windsor also recorded the highest count (52) for Mulberry Wing in North America. Click here for the complete results. Aarron Aylott, Mike Aylott, Gordon Barnett, Jesse Blankenship, Trish Blankenship, Maurice Bottos, Suzan Campbell, Karen Cedar, Paul Desjardins, David D'hondt, Fox D'hondt, Alex Gervais, Glenn Gervais, Zack Gervais, Barb Hayes, Josie Hazen, June Hurley, Tom Hurst, Dave Kraus, Jeff Larson, Emily Pancheshan, Nancy Pancheshan, Paul Pratt, Nicole Ray, LeeAnn Spooner, Fred Urie, Deb Waugh.